Doom - or a new destiny? 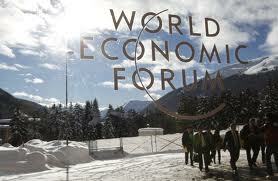 To some extent January’s World Economic Forum in Davos was over-shadowed by the seemingly endless number of Eurozone summits trying to sort out the deepening crisis. Instead of the great and the good from the traditional economic powerhouses beaming reassuringly from the podium there were long faces and an air of impending doom everywhere. Yet in some hotel bars there was a noticeably lighter atmosphere and even laughter. These were not the Western or indeed Chinese delegations but rather those whose GDP growth is accelerating away month on month – the burgeoning economies of sub-Saharan Africa and South-East Asia. So should we just be envious of their success or excited about the new market opportunities they represent? Traditionally African and, to some extent Asian, markets have been perceived as difficult to enter with poor prospects of worthwhile returns. If anything they were seen rather as potentially dangerous competitors with large pools of cheap labour. That view now has to be challenged. Certainly exports of commodities from Africa and increasingly good high quality manufactured goods from Asia have driven startling economic growth, but that wealth is now also filtering down and creating domestic market pressure. Oddly enough, indigenous companies seem less adept at satisfying local demand, particularly as Western products are still perceived as being highly desirable. Yet how many UK companies now have Nigeria, Kenya, Zambia, Vietnam or Indonesia on their export radar? what is the true size and potential growth of a B2B or B2C market opportunity? how easy is it really to do business in a particular country? is it possible to identify and recruit local agents, distributors or dealers? can the market be serviced remotely or is it necessary to create a local operation? what is the most cost-effective Go to Market strategy? how to exploit the experience of those who have successfully managed similar initiatives? There are very practical ways to tackle these issues, but whilst British companies fight margin-sapping price battles over stagnant European markets and dither about investment further afield, competitors from the likes of China and South Korea are already moving in. Time and opportunity wait for no man.